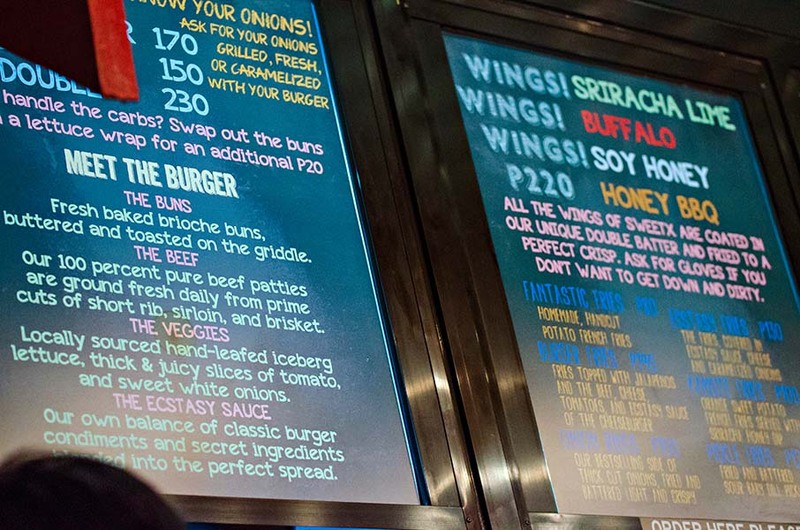 Burger restaurants have been around in Manila for the longest time. I remember when all these shops started popping up in the city almost a decade ago, each one trying to outweigh and to out top the competition. 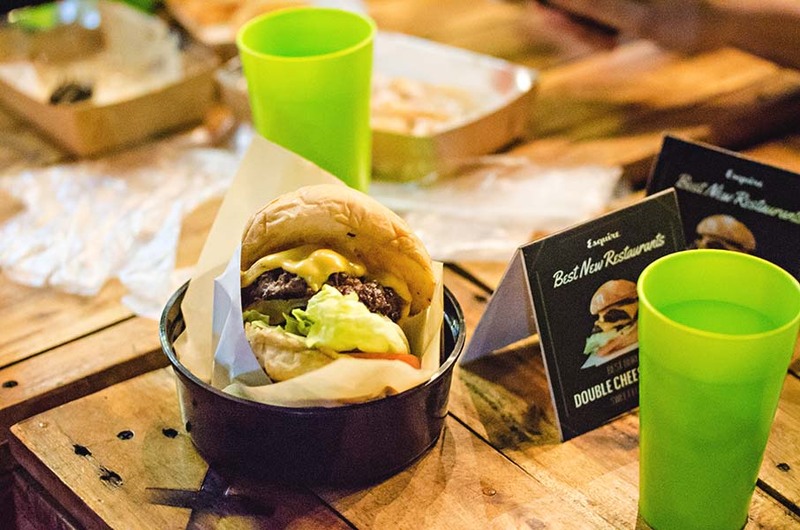 Recently, new burger shops popped up that offered higher quality cuts of beef in their patties and the now common topping combinations that can range anywhere from caramelized onions to bacon jam. 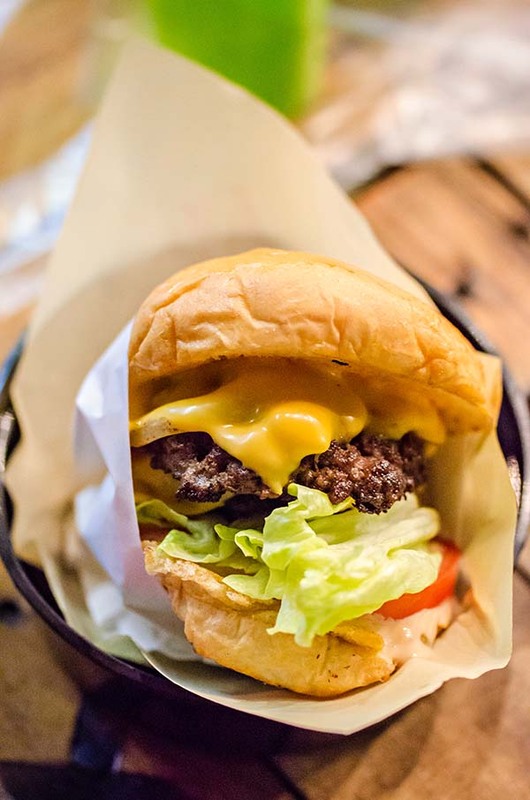 One new player in the burger scene, which has earned the top spot in my list of favourite burger places, is actually doing the exact opposite of what all these other burger shops have been doing. They offer no frills burgers that just focus on high quality ingredients prepared excellently. Sweet Ecstasy (or Sweet X if you want to save yourself two syllables) was originally located in Cubao X in Quezon City. From what I’ve read, their original offerings were the milkshakes, thus the name. The burgers and other items came after. 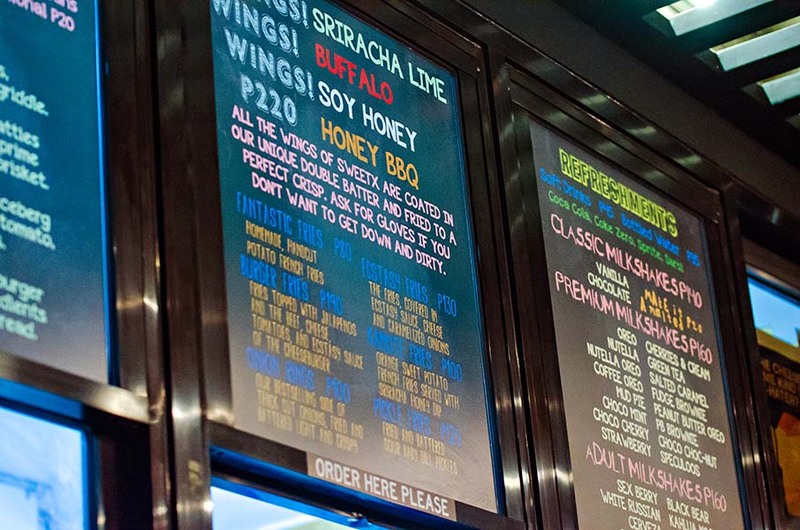 Their menu is pretty straightforward: Milkshakes, Burgers, Wings, Fries, and Onion Rings. For this trip, I got to go with some of my friends from college. This meant two things. One, awesome company. Two, a smorgasbord of food. It was time to beast feast. Sriracha Lime Wings. Not too hot with a nice tartness to them. The batter was extra crunchy without being overly greasy. 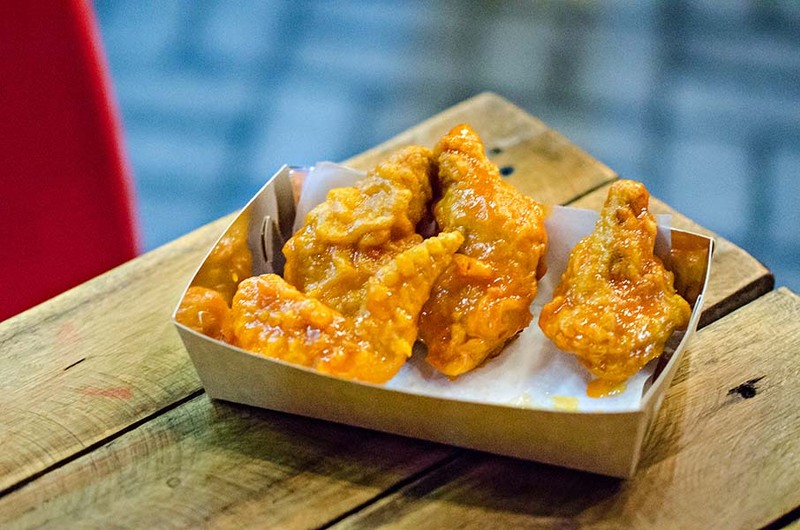 The wings are coated in a nice crispy batter, deep-fried, and tossed in your sauce of choice. They four different variants available but our group ended up ordering two of the Sriracha variety. 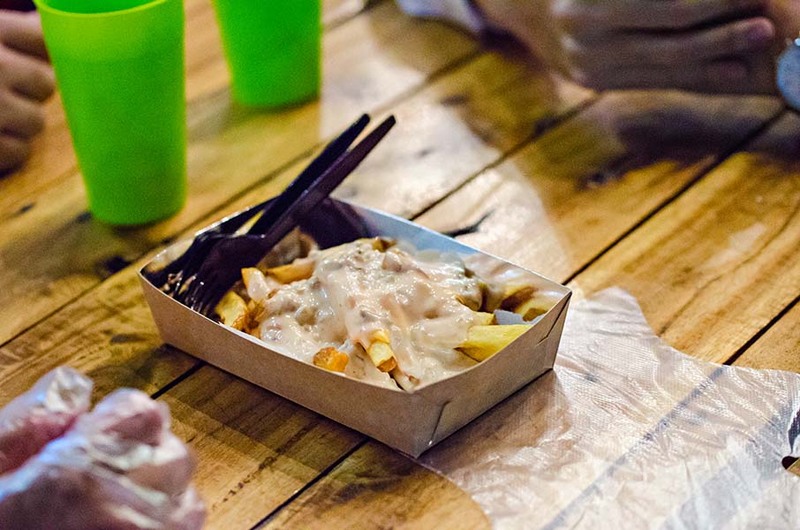 I attribute this to all of us spending over four years in Singapore where a lot of the food pack quite a bit of heat relative to food here in Manila. The wings were juicy and crispy without being greasy. The sauce was nice and spicy (Read: Thank you, Sriracha) with that nice lime buzz to balance out the heat. Ecstasy Fries. Skin on french fried potatoes topped with what some of my friends said resembled the In-N-Out sauce. I usually order the plain french fries whenever I eat in Sweet X. I’m not a fan of creamy dishes but I found these to be sloppy and pretty delicious. According to the menu, the Ecstasy Fries are “covered in ecstasy sauce, cheese, and caramelized onions.” My friends mentioned that the combination of toppings on these fries reminded them of the In-N-Out sauce so if you’ve tried In-N-Out and enjoy their sauce, you would probably like these as well. I personally haven’t tried it so I can’t really chime in on how close this really is to that. Their onion rings are pretty good. The batter gives a nice crunch when you bite into it, a nice contrast to the soft onion waiting inside. 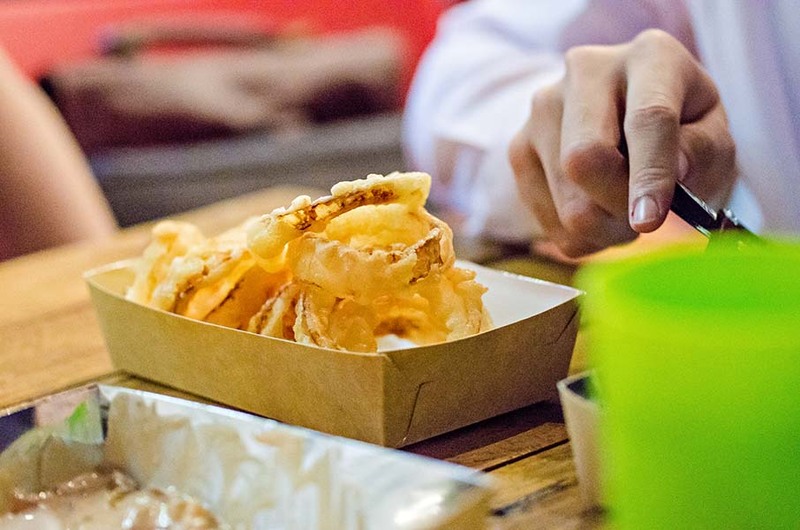 What I really like about these onion rings is that the batter doesn’t overpower the taste of the onions. They are crunchy, salty, and sweet. I tried these first during my cousin’s wedding earlier this month. Let me start by saying that I dislike pickles. Whenever I get a double cheeseburger in that fastfood chain with the golden arches, the first thing that I would do would always be to remove the pickles inside the sandwich. That said, I think it says a lot if I actually suggested that we order this for sharing. These pickle fries are AMAZING. 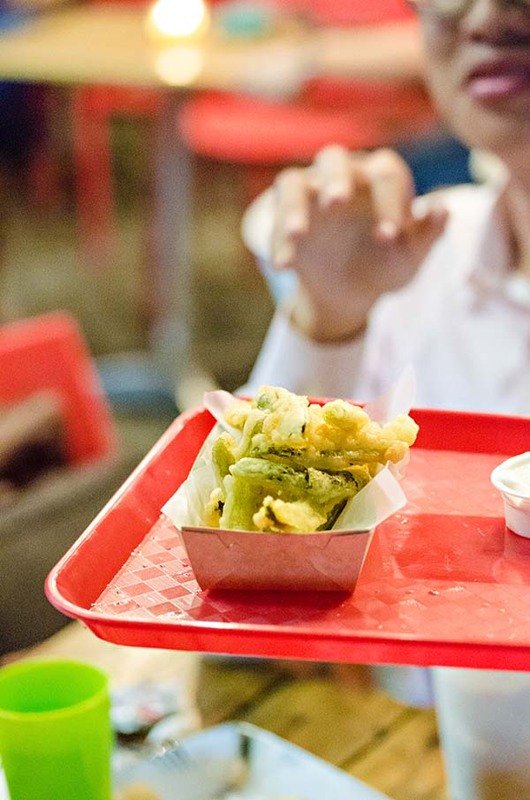 The sticks of pickles are battered and fried. Simple and it works. The final dish has a significantly toned down pickle flavor with a nice crunch from the batter and a slightly chewy pickle. Something different. In a really good way. The main event: Double burger with cheese. Now on to the main event! Their burgers are as simple as you can get. You basically get to choose either one patty or two, with or without cheese, and either grilled, raw, or caramelized onions. The standard accompaniments to the 100% beef patty, brioche bun, and onions are a couple of locally sourced tomatoes and lettuce. Finish it all off with some of their ecstasy sauce and you are good to go. No fancy selection of cheese. No jalapenos. No bacon. Just beef, veggies, and cheese. The two things that really make the burger stand out for me are the brioche buns and the beef. The buns are nice and soft but still hold up really well to the meat and vegetables. Despite being greasier than your other burger options, the buns still held their ground and sucked up all those juices nicely. The beef patties are really what sets Sweet Ecstasy apart for me. No bacon? No problem. The cook the outside of burger patties to a nice crunchy crust that actually reminds me the texture of crisp bacon. Even with this crust on the patties, they still remained extra juicy and crumble every now and then as you inch your through the beefy little parcel of deliciousness. You know there’s something special if you have something so simple but so satisfyingly good. Sweet Ecstasy does away with all the extras that other burger joints offer and just focus on the real star of the burger: The beef. Basic ingredients prepared in the simplest of ways. 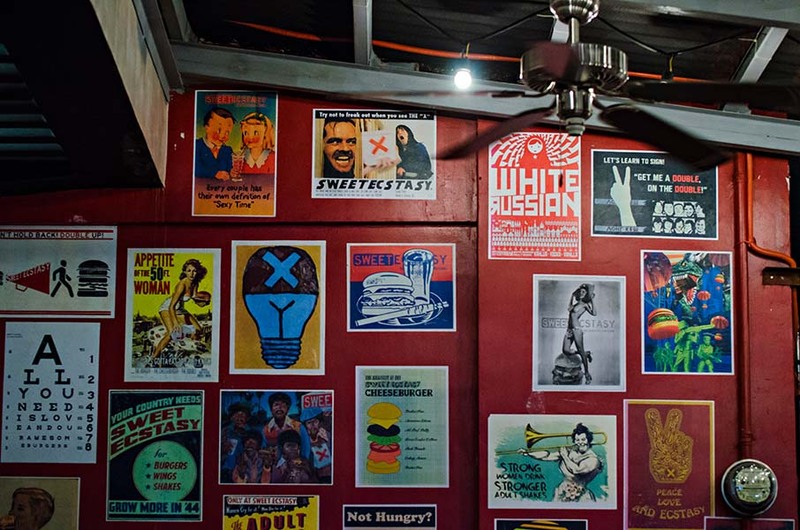 Thanks to Sweet Ecstasy, burgers are back. P.S. I heard you can also order the burgers steamed. Makes it even messier to eat which should add to the fun.